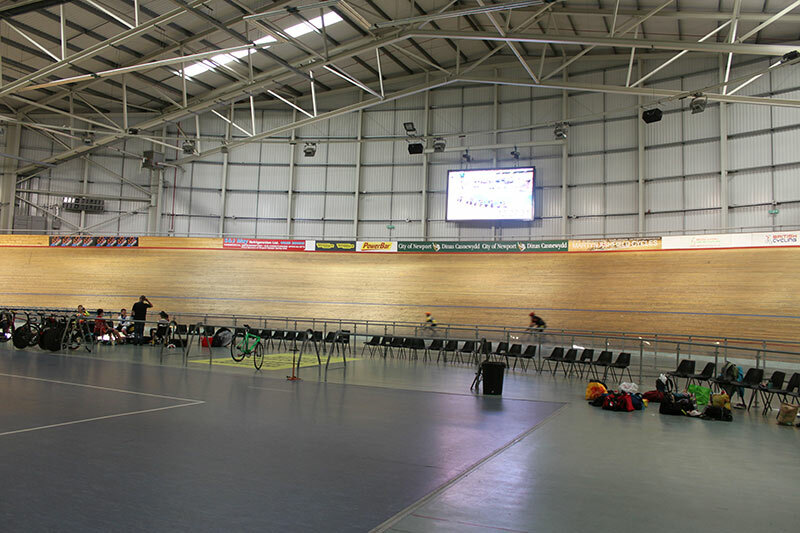 Recently, I visited Newport velodrome to have aerodynamic testing with Aero-Coach, a company offering aero-testing for cyclists. A position from 2010 pre any wind tunnels. It’s hard to imagine winning races with this position and equipment. I visited the Drag 2 Zero wind tunnel in 2011. When I came out of the tunnel, I was noticeably faster. Previously my position was not very optimised, so it was relatively easy to go faster. Five years later and the science of aerodynamics in cycling has progressed quite a lot. It is noticeable by the way times are falling. Times which used to be good enough to win an open, may now only be good enough for the top 5, even top 10. You hear on the grape vine of people doing 280 watts for a 19 minute ten mile time trial and things like that. I often felt last year I was losing out to people who had a better optimised position. 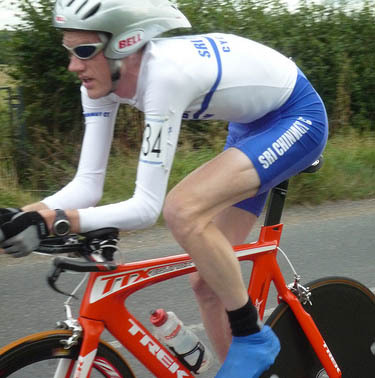 Last year, I was stuck waiting for a new skin suit and didn’t help myself by doing National 100 with round bottles on the seat tube and another on the down tube. Anyway, this year, I felt it was time to book a session with Aero Coach and see if I could catch up some lost time. It’s a pretty smart set up, you use a power tap discwheel and just ride around the track and they measure CdA from knowing speed and power. I don’t know exactly how it works, I was happy just to ride around the black line and leave calculations to others. I have toyed with trying to become an expert on self-calculated cdA, but I don’t have time / am reluctant to invest in the knowledge, and don’t trust myself to get it right given so many variables affecting data. In the field of marginal gains, you need to be pretty switched on. The first thing is that I have never ridden on a proper indoor velodrome before. I’ve only ridden on an outdoor bumpy concrete affair, Kissena Boulevard, in New York. If I kill myself, on this track I can maintain 40km/h for about 10 minutes on an old road bike. But I always feel really slow and useless riding around there flat out at averages of 22-23mph. Riding the indoor velodrome was completely different and tremendous fun. It took a little getting used to the banked corners, but after a few laps, a huge grin appeared on my face, it was so much fun and so fast! I did testing for two hours with some stops to readjust position, and found it relatively comfortable to maintain a speed of around 45-46km/h for the two hours of testing. Anyway, as much fun as the velodrome was, it would be a very expensive way to ride the track for two hours. The main thing was could we optimise position to get some free watts. Over the two hours we tried many tweaks – different helmets, different water bottle combinations, moving around saddle, hand position e.t.c. Some were minor changes but made quite a bit of difference, some things didn’t alter much. But, over the two hours, there were quite a few changes which chipped away at the watts. I won’t be giving any exact details for a few reasons, not least changes in position and equipment are dependent on a rider’s body shape; what works for one person, may not work so well for some one else. But, I don’t think I will be giving away too many trade secrets if I say, I doubt you will see me racing in a Kask Bambino very often in the future. The fastest helmet was pretty much the same helmet that was fastest in the 2011 Wind tunnel. Except I haven’t used it for past two years because I thought if I buy some more expensive helmet it would be even faster than this old Giro Advantage. Just shows you can’t always buy your way to speed. Xavier Disley, the founder of Aero Coach, is very knowledgeable on aerodynamics and had a lot of good suggestions and things to try. As well as the actual testing, he also offered good ideas for other things to try. You can tell he’s spent a lot of hours doing aero optimisations on different riders. Before my session there was an Irish para-olympian doing some tests. Yes. I’m confident that I’ve learnt a lot of minor changes which will help me go faster. It is definitely a relief to have tested different water bottles and aerohelmets, so I don’t have to continuously guess ‘which looks the best’. Sometimes you can guess right and the testing confirmed my expectations, but sometimes you don’t guess right and it was counter-intuitive. Some minor changes to position, I would never have thought of doing on my own. When you consider the amount of money spent on upgrading time trial bike from Trek Ssl to Trek Speed Concept (£6,000) there is probably a much bigger wattage saving from an aero wind tunnel testing. Muhammad Ali was a truly extraordinary individual, just a few of my favourite quotes and videos on the great man on my personal Tejvan blog.